Vase of unglazed red earthenware painted with light blue enamel and gilded. 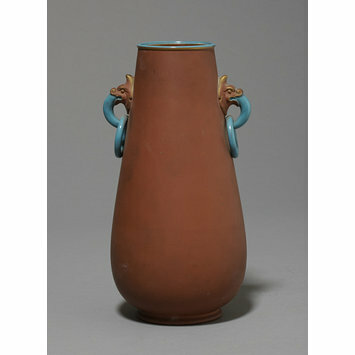 Truncated cone-shaped with a rounded base and two ring handles, coloured blue, and attached to monsters' heads. 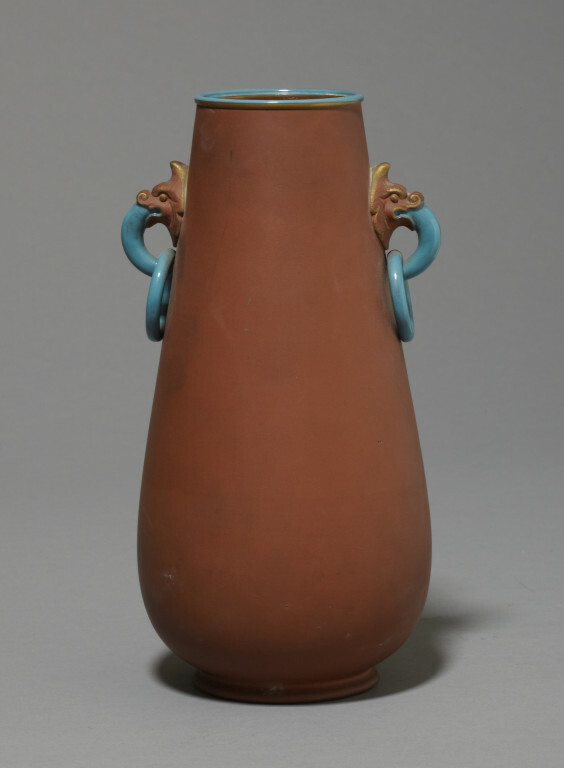 Vase of unglazed red earthenware painted with enamel and gilded, made by Watcombe Terra-Cotta Co., Torquay , 1869-1876.